Before I tell you about Carl, it helps to know a little about Barb Cordell. She was first described to me, very accurately, as a cross between Loretta Lynn and Mother Teresa. The former, because she wore her hair in a beehive, chain smoked, and wore large, dangling earrings; the latter, because she lived for the poor. I met her, back in the eighties, when I directed pastoral formation for college seminarians. Barb was running a homemade hospice for men, all of whom were unemployed, most of whom were dying from AIDS. She had gotten into the work when she had helped an unemployed man find a job. He stayed in her home while he searched for work, and, within a few years, she was operating a shelter in downtown Columbus. We were sending college seminarians there, once a week, to help with tasks like shelf-stocking and cleaning. Some of the seminarians had expressed reservations about serving men with AIDS. At that time, many people still didn’t understand how the disease was spread, and those who contracted it bore the additional burden of moral opprobrium. The seminarians were rather blunt. Why should they serve those who are public sinners? Doesn’t that condone the sin? Weren’t there more virtuous poor whom they could serve? Two weeks later, Carl was dead. 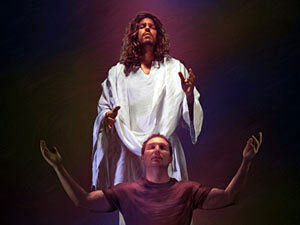 because I am going to the Father(Jn 14: 11-12). Jesus expected his nascent church to take up his work in the world. That’s why the Twelve, who were devoted to the Word and prayer, knew that others were needed to feed the poor. To pray and to proclaim the Word was a work of the Lord. So was tending to those who needed charity. What we might call “turning to the Lord” and “turning to the world” are integral parts of what it means to be a Christian. Neither one means all that much without the other. It’s true that in the church today, as in the time of the apostles, tasks are divided among us, but the work is Christ’s, which means that no one of us can neglect any part of it. For the first time in his life—sadly at the close of it—Carl understood what had happened at his baptism. He had been inserted into Christ. He finally knew that love surrounded him, and he wanted to respond in kind. He wanted to care for others who were poor. acceptable to God through Jesus Christ ( 1 Pt 2: 4-5). I didn’t bump Carl up, in assigning him the work of prayer. I simply pointed his love in the only direction left to it. At the end, Carl understood the work, which every Christian must do, but he also knew that the most important task had already been accomplished in Christ Jesus. He had a savior, someone who had drawn him into a family, given him voice to pray. Someone who guaranteed that all our work in this world would be productive, because it is built upon the living stone who is Christ.